The Digital Agenda Commissioner of the European Union says punitive, hardline enforcement of copyright laws is only serving to encourage piracy. Even the staunchest supporters of effective copyright laws have moments when they want to throw their hands in the air and give up. Reasons are numerous; I have a tendency to lose my mind when I'm wrestling with various idiotic copy protection schemes that I know people with pirated games never even think twice about. Another good reason: stories about the multi-gazillion-dollar music and movie industries using the courts to bankrupt random schmucks who were unlucky enough to get caught downloading a few tunes. It's infuriating and, for some, no doubt responsible for some splash-damage feelings of "stick it to the man" that lead angry, uncowed consumers to vent their frustrations the only way they know how: by downloading even more. 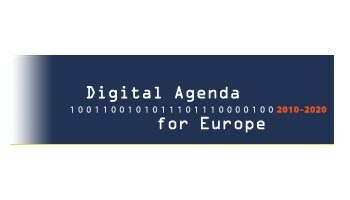 It's a mess and in the eyes of Neelie Kroes, the EU's Digital Agenda Commissioner, something needs to change because the system as it stands is just making things worse. "Is the current copyright system the right and only tool to achieve our objectives? Not really," she said. "We need to keep on fighting against piracy, but legal enforceability is becoming increasingly difficult. The millions of dollars invested trying to enforce copyright have not stemmed piracy." "Citizens increasingly hear the word 'copyright' and hate what is behind it," she added. "Sadly, many see the current system as a tool to punish and withhold, not a tool to recognize and reward." Kroes didn't lay out any specific ideas for improving the system but argued that clinging to the current system, which she described as an "old set of rules made for a different age," stifles meaningful development of new, better ideas that could prove beneficial to creators and consumers alike. "We need to create a framework in which a model - or indeed several models - can develop organically, flexibly, in ways that support artists," she said. "It's not all about copyright. It is certainly important, but we need to stop obsessing about that. The life of an artist is tough: the crisis has made it tougher. Let's get back to basics, and deliver a system of recognition and reward that puts artists and creators at its heart."